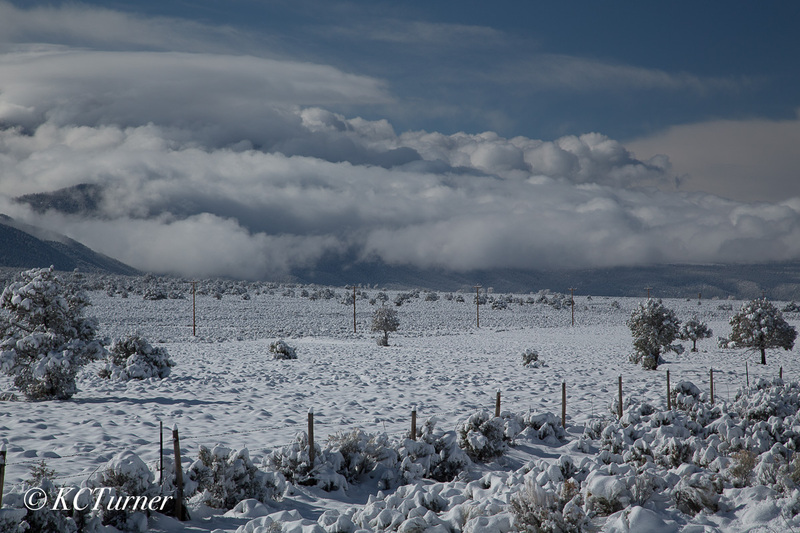 About five miles north of Taos, New Mexico, during an early spring snow storm, mother nature finally began dispersing with the intermittent white outs and yielded up this pastoral roadside landscape. A "must stop and shoot" photograph. Photo © copyright by K.C. Turner.